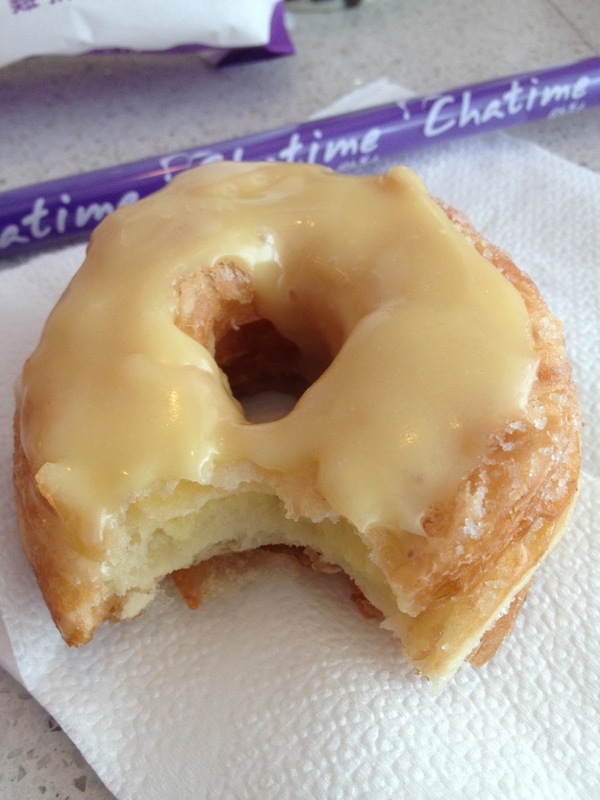 Here in Manila, specifically in Chatime, it's called Kronut. Because Dominique Ansel, the man who invented Cronut, has already trademarked his croissant/doughnut hybrid creation. So expect to find more name variations for this popular pastry, surely one (or two more) will be surfacing soon enough with names bordering on ridonkulousness hee. The taste? I was never good in describing food so here goes! It was good. It reminded me and my friend so much of our very own Napoleones. The sweetness of custard was just enough for me, not too sweet, not too bland. It's a deep-fried goodness but the one that I won't make a habit of eating haha. Kronuts are available in Chatime Pioneer Branch, beside PC Supermarket. I read they're only offering it in this branch for now but surely they will heed the people's demand and pretty soon offer it to their other Chatime branches.